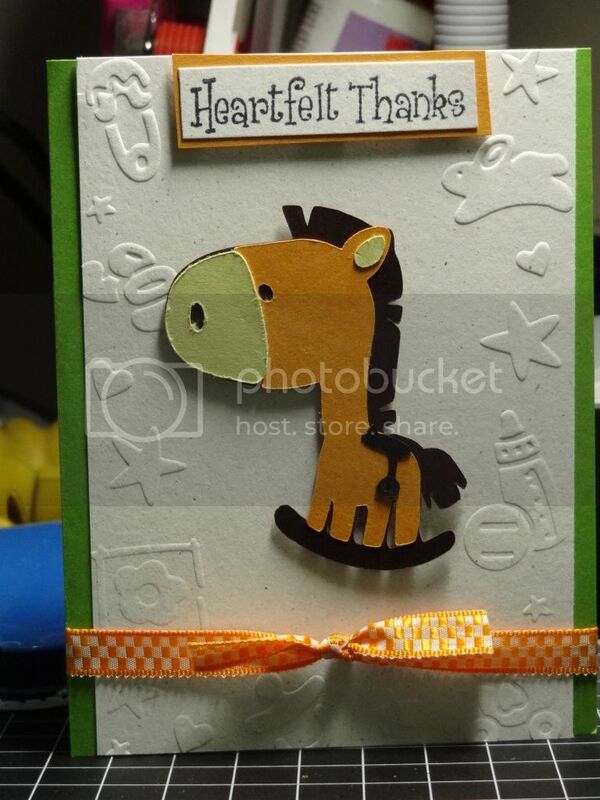 Here's another thank you card I made for my baby shower. After the froggy card, I think this one is my favorite. 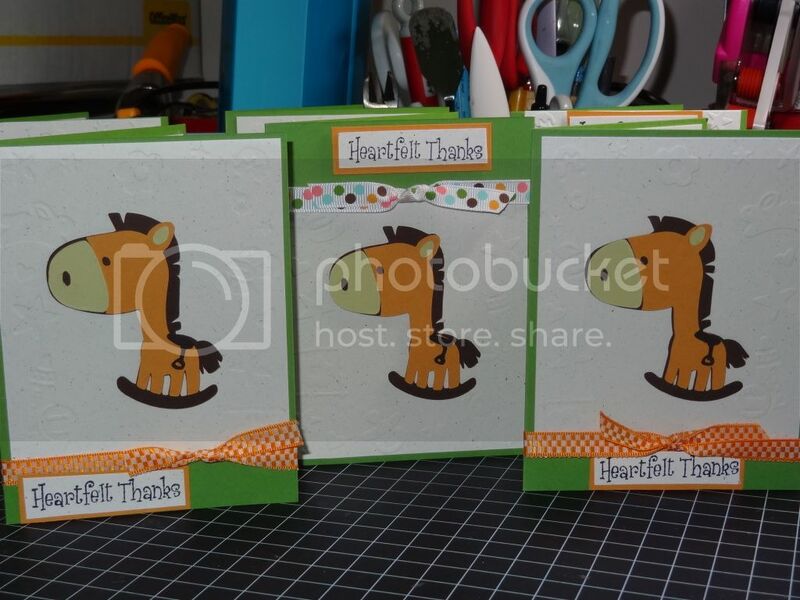 I used the B is for Boy Cricut cartridge and a baby border embossing folder by Darice. The main reason there are three different variations of this card is because I had trouble using the embossing folder on any other size than a 4 x 5.5"--the border didn't really seem to be designed to be embossed on a smaller scale or partial layer, though I tried. The stamps are from the Inkadinkadoo "Thanks" set that I've been using so often and the ribbon and paper are from my stash. 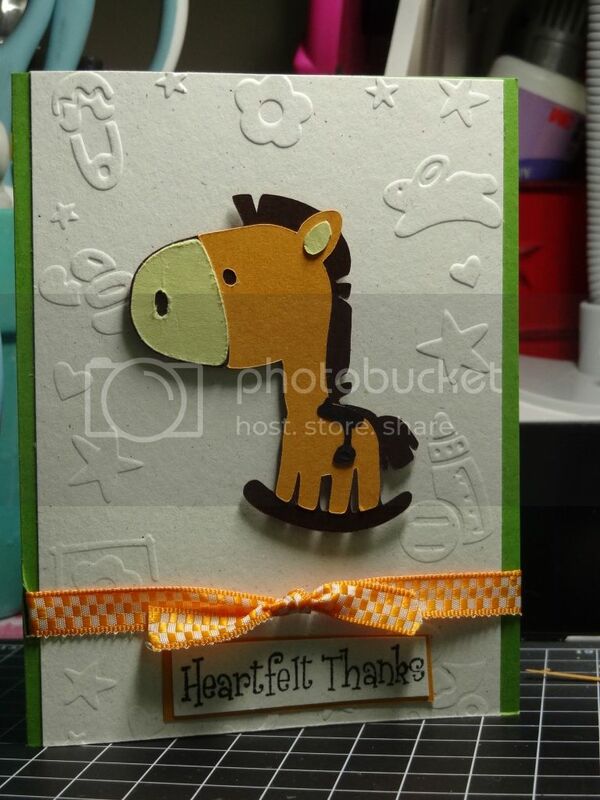 Beatiful.Giraffe is looking very cute.This is the best thank you card i have ever seen. 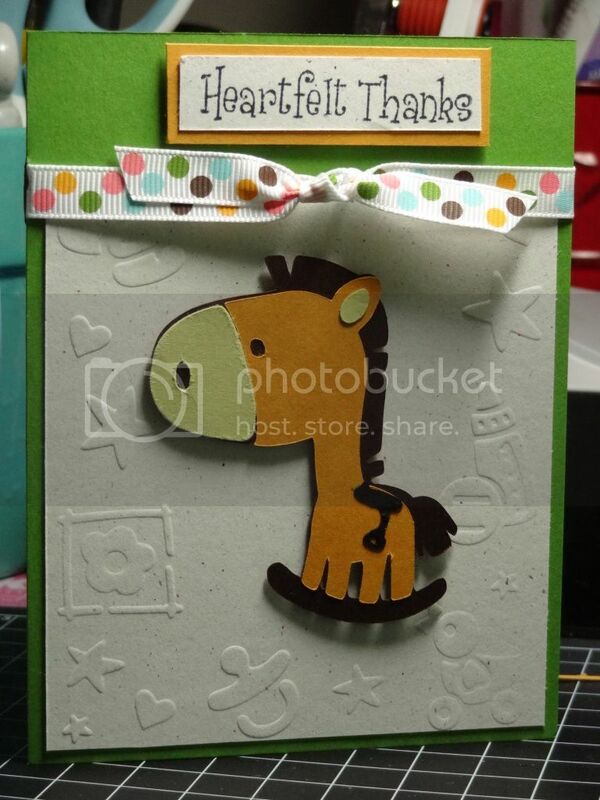 Card Making and Scrapbooking Crafts.